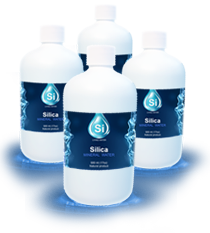 For the past 10 years Si Living Water have been proud to offer the highest quality of Silica Healthy Drinking Water and all of it’s proven health benefits to the U.S.A. and Canada. 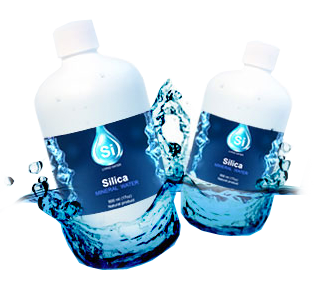 We are one of the only North American manufacturer of Silica enriched water! Our Ultra-Pure Water Rich with Silica Makes You Feel Better and Tastes Great! Need drinking water? 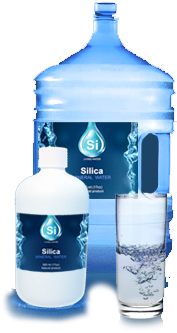 – “Silica Mineral Healthy Drinking Water” is your right choice! 500ml (17oz) will last for a Full Month! Silica is a naturally occurring mineral which is always found in our bodies. In fact it's an essential mineral and without it life simply wouldn't be possible. 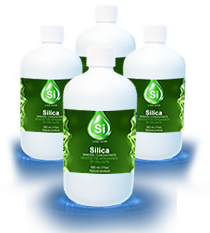 Silica is very useful which is why drinking silica water might help you improve your health. Next to oxygen, silicon is the most abundant element found on the planet. Silica is silicon and oxygen combined, also known as silicon dioxide. It is found in our bones, as well as connective tissue, making it the general fiber of hair, skin, and nails. The average human body is made up of seven grams of silica by weight. When we consume silica in foods or silica supplements, our body takes what it needs, and flushes out the rest of this water-soluble nutrient. Like the macro-minerals, such as iron and calcium, silica is used all the time, and needs to be constantly replenished.